Out now for Android, iOS, Windows and Mac: our 'Dodgy Deals' game! Although 90% of the CETA deal (EU-Canada trade deal) are currently applied, the shady aspects of the agreement are already lurking around the next corner. 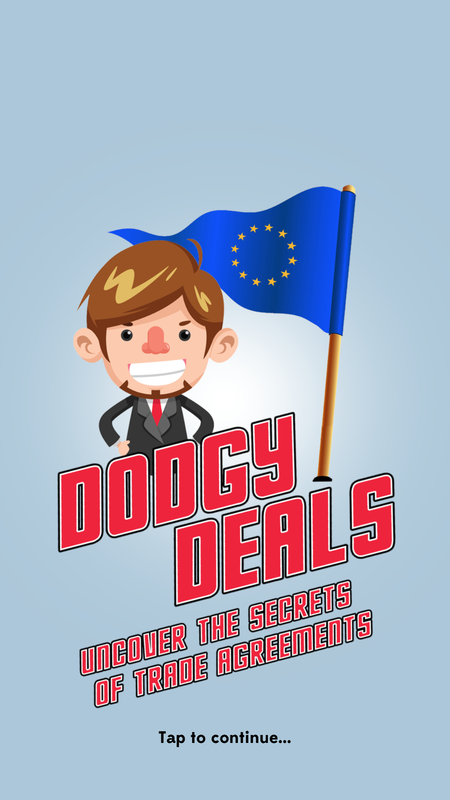 'Dodgy Deals' lets players uncover the secrets of trade agreements like CETA and gives a taste of the trials and tribulations it has in stock for us. While certain aspects of the CETA agreement have been much-criticised, other risky elements like ‘regulatory cooperation’ remain unknown to many. But this is exactly what makes CETA so dangerous: in many cases, it will make it more difficult for politicians to make laws in the public interest. 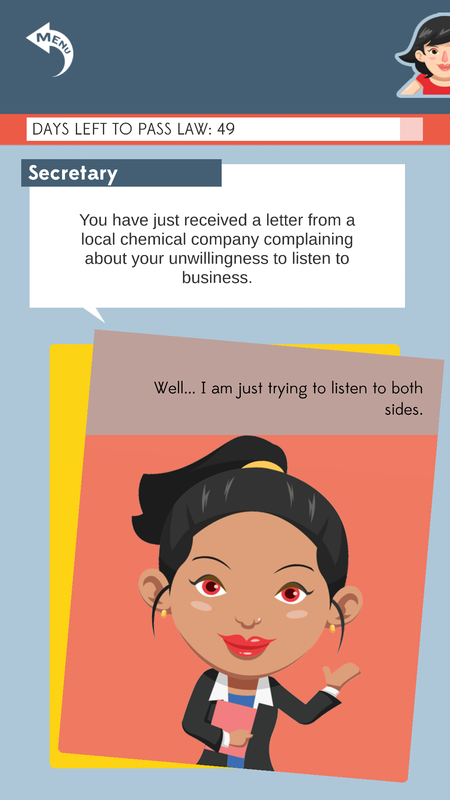 Our new game 'Dodgy Deals' casts players as politicians, journalists or activists in a post-CETA world. Each character is assigned a mission – whether it is to pass a law for the prevention of toxic gold mining or to write a newspaper article about weed killers – and navigate the formidable new obstacles that CETA will introduce via ‘regulatory cooperation’. The game is available for mobile devices running on Android or iOS, as well as for desktop computers (Windows and Mac). After CETA’s hurried ratification in the European Parliament in February 2017, the deal still needs to get the green light from national and regional parliaments in all but three EU member states. In the meantime, ‘Dodgy Deals’ lets you uncover the dark side of trade agreements as they are made today. Deals like CETA are negotiated behind closed doors with very little scrutiny by our elected representatives, even though they have a massive impact on our everyday lives. Our game aims to get CETA out of the Brussels bubble and into the hands of millions of people in Europe. With stakes this high, we need a more informed public debate about the deals that affect everything from the food we eat, to the water we drink and even the way our laws are made.